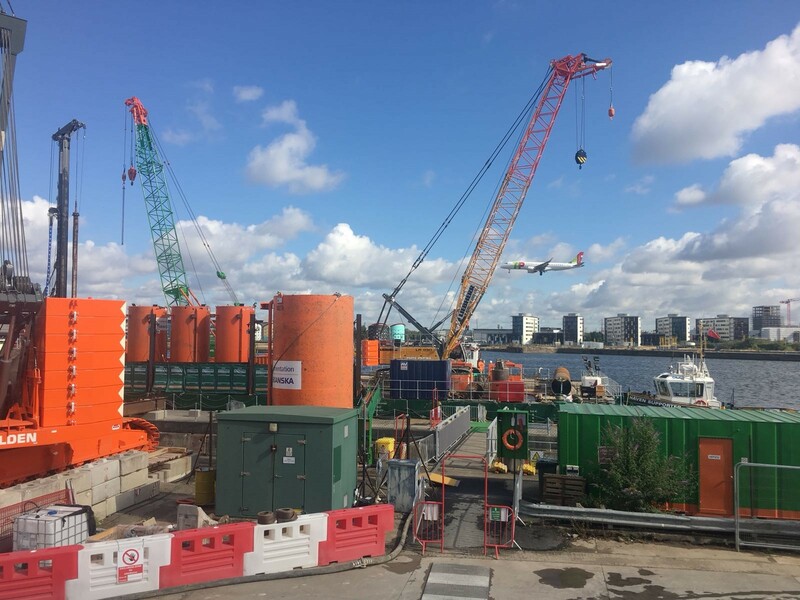 This is the first major construction project in London City Airport’s development programme, essentially creating new land that will provide the base supporting new infrastructure including aircraft stands, a parallel taxiway and a world-class passenger terminal extension. 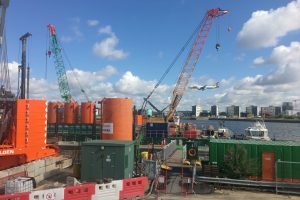 The construction of the new 75,000 m2 concrete deck involves extending the airport’s existing concrete deck out over the King George V Dock supported by concrete piles with steel casings. Works on site are taking place while the airport remains operational. 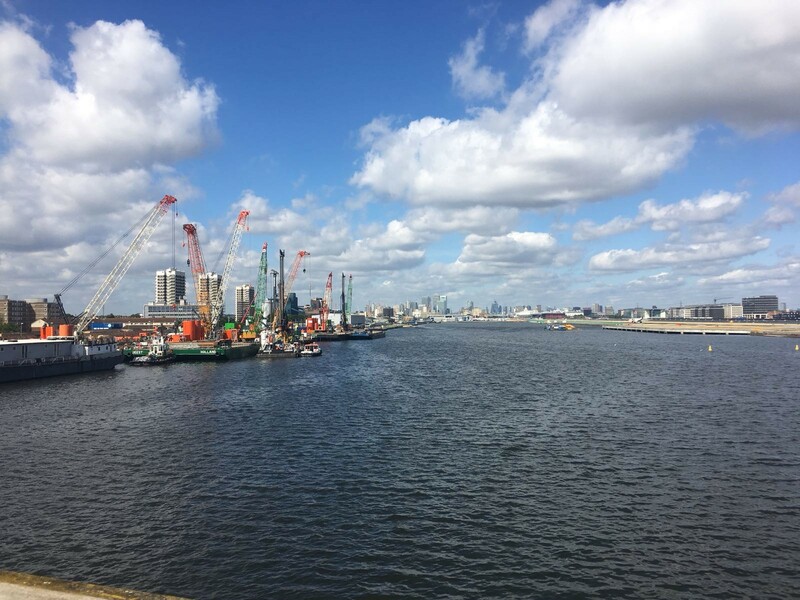 The new deck will consist of precast reinforced concrete planks with a reinforced concrete topping spanning onto precast concrete beams supported on more than 1,000 large diameter bored concrete piles with steel casings in the dock bed (typically spaced at 10m centres). 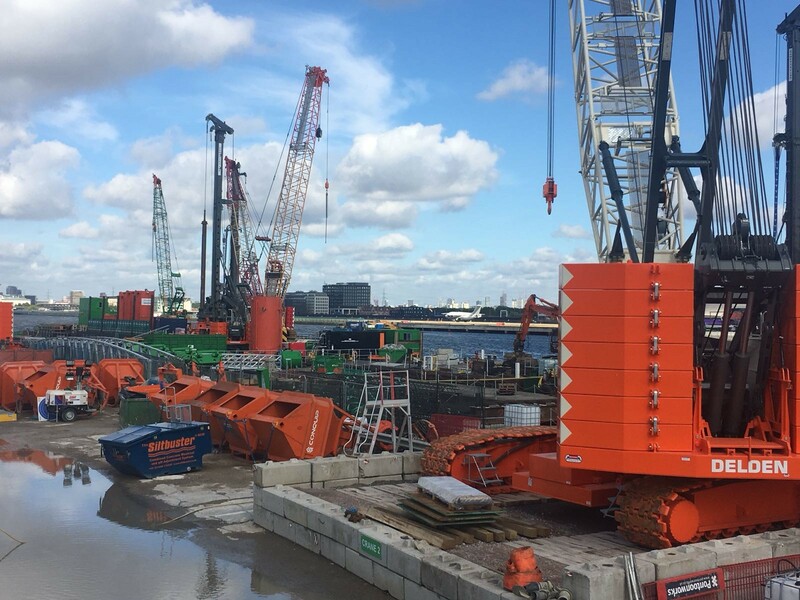 Average water depth is around 10m with the average pile length being approximately 20m. 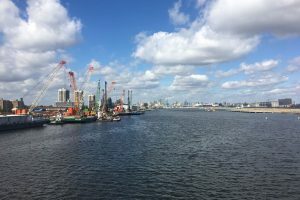 Completion of the deck is expected in early 2020. Reliable Contractors will supply BAM Nuttall with a highly skilled workers who are competent and qualified. 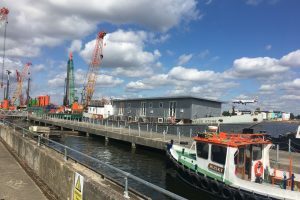 BAM Nuttall who are responsible for the pile design and working with supply chain partner Cementation Skanska who will install the piles using floating plant in the King George V Dock. 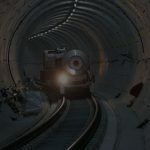 BAM Nuttall will incorporate extensive use of precast concrete units for much of the works which will be cast off-site. 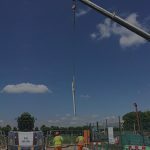 The precast units will be placed with a bespoke barge mounted gantry. 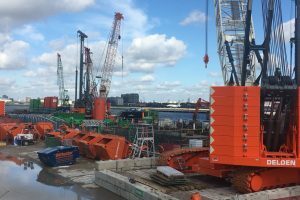 There will be a total of 6000 precast units which comprise of beams, planks, pile caps and service trough segments and total over 25,800 m3 of concrete and weigh nearly 62,400 tonnes. 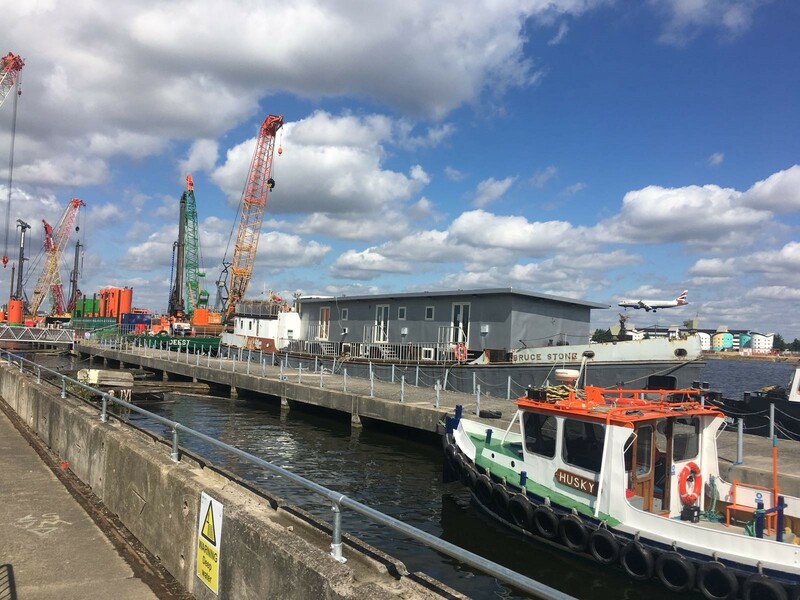 Additional work includes the partial demolition of the King George V Dock wall to enable tying in of the new deck, construction of a partly submerged service trough and drainage channels, and approximately 50 land based piles adjacent to the airport entrance.